Although we can talk about a significant viticulture in the 16th century in the northern wine growing regions of the Pannonian Basin, according to certain sources of that time, Tokaj-Hegyalja was preceded by the vineyards of Mátra, Bükkalja and Zemplén in terms of quality and quantity. According to our recent knowledge, the name of a wine made from selected noble rot grapes, which actually established the reputation of Tokaji wines, appeared in written sources for the first time around 1570. We can assume that wine producing had an important role in this region. In that time, people tried to make Aszú wine in other wine growing regions of Hungary, in Sopron, Szekszárd and in Badacsony. However, because of its special quality, the Tokaji wine managed to gain a leading position: it is recorded that the estate located in Hegyalja owned by the Rákóczi family became the centre of Aszú wine producing in the 17th century. As Hegyalja became the leading wine region of the country, the sustainability of the region, which now was a defined territory in a royal rescript, has increased. Although, in the second half of the 18th century, this region was the most populated, there was not enough local workforce. From time to time, workers came to harvest or to hoe in vineyards even from far-away places. The catchment area of Tokaj-Hegyalja was 80-100 towns: people from this region bought everything on the markets of towns located in this region and worked in the vineyards of this region. 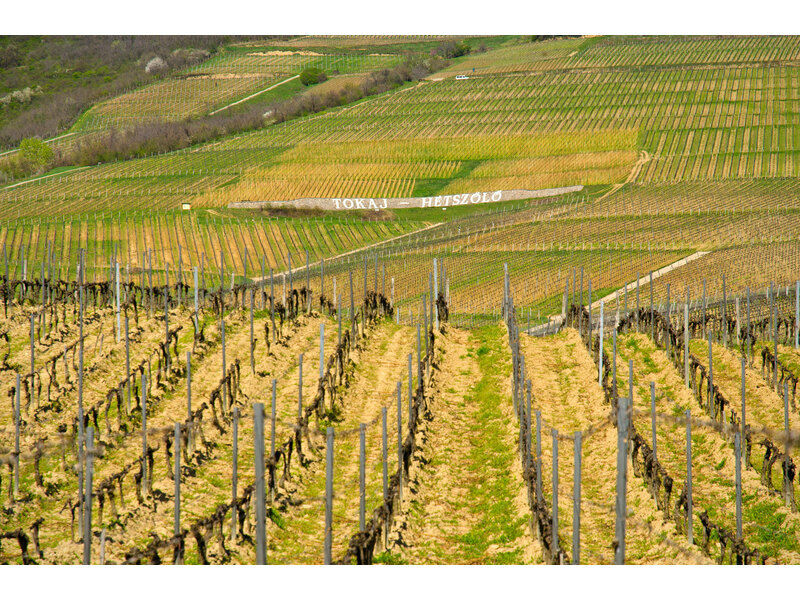 In the 18-19th century it meant 20 or 22 settlements, today Tokaj-Hegyalja incudes 32 towns. This wine region is based on three varieties of white vine. One of these, the oldest is Yellow Muscat which has been known since the Ancient History, but in Hungary it has been spread by German influence. In the past two centuries, Yellow Muscat has been overshadowed by Furmint and Harslevelu. Furmint which is grown today on the 70% of the region, probably has French and Italian origins, but it came to Tokaj-Hegyalja from the famous wine producing region, Syrmia. The origins of Harslevelu go back to the South as well, most probably to Slavonia. Although, at a certain time, growing Harslevelu was prohibited with an order, it became the second most planted variety in Hegyalja during the 19th century. This fact is interesting because Harslevelu was not even highly popular among people. The best variety for making Aszú wine is Furmint which has always been blended with softer varieties. Some of the old varieties, mainly the red ones were not hybridized for a long time. Hybridization began with the “phylloxera plague” and gradually proceeded during the 19th century. The quality order of Tokaji wines has been the same over the centuries: the ordinary table wine, the main wine, which was later called Szamorodni, the Aszú and finally comes the Essencia wine.